Seriously, this is so brilliant. And widely relevant too- no matter your medium of choice, these easy color palettes are extremely useful! I can’t wait to get back into finish work and use this technique. 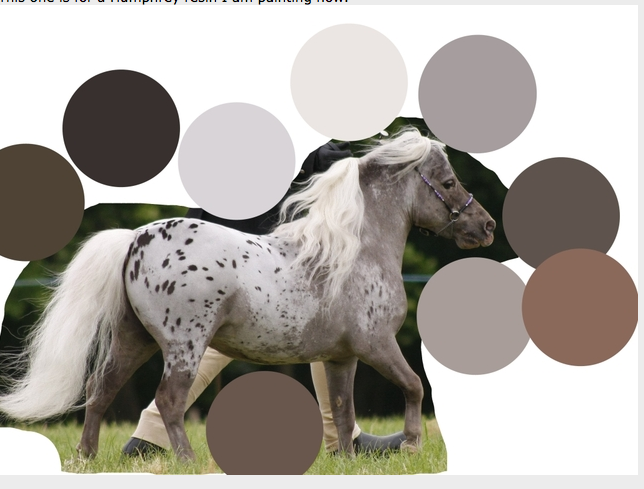 If you don’t have a program that can take color swatches like this, there are several free downloadable ones. Karen mentions Paint.net (downloadable at getpaint.net) which runs on Windows/Vista. 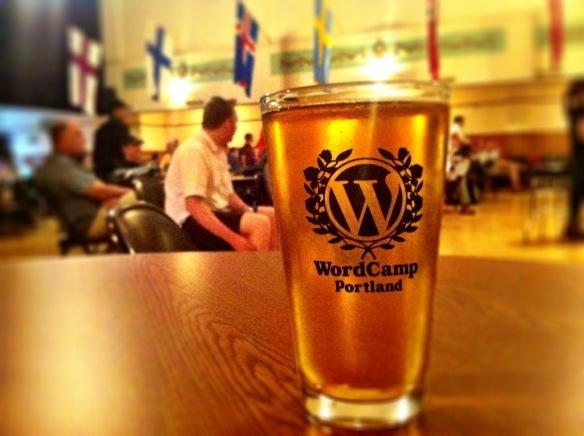 If you’re using a Mac, never fear, GIMP is a free, open-source photo editor for Mac. Karen Grigson is not just a talented (and helpful!) painter, but also an excellent and creative sculptor. She did an awesome post on her blog called Character that has some great tips on facial customizing. It is super awesome how open and helpful hobbyists are! I currently have two batches of horses being worked on rather regularly, which is fun and awesome and means serious progress. Rotating between them leaves time for epoxy or fixative to dry, and means more solid work time over all. Speaking of epoxy! I have always used “but I have wet epoxy!” as an excuse not to do chores, but that explanation may now be futile. 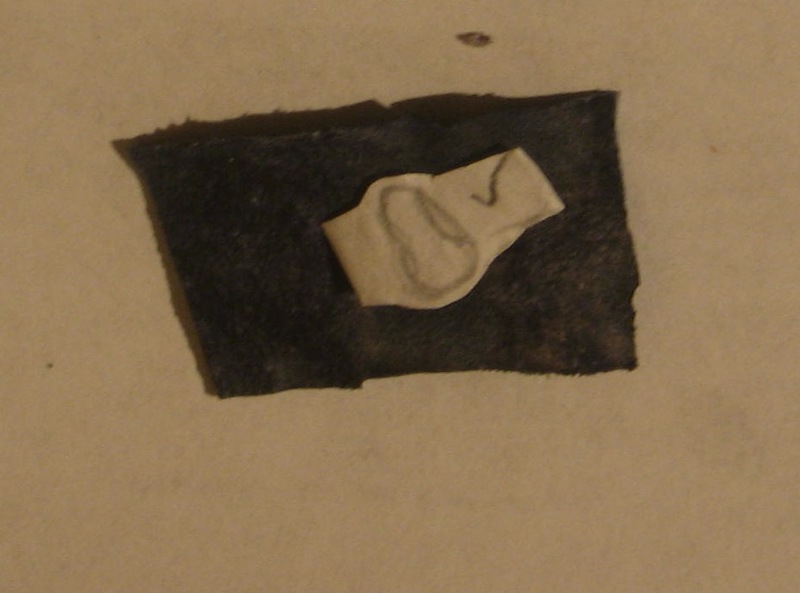 I learned from Karen Grigson’s Bluebird Studio blog that you can slow the curing time for epoxy by putting it in the freezer- and thus save your leftover bits until you have the time to use them. 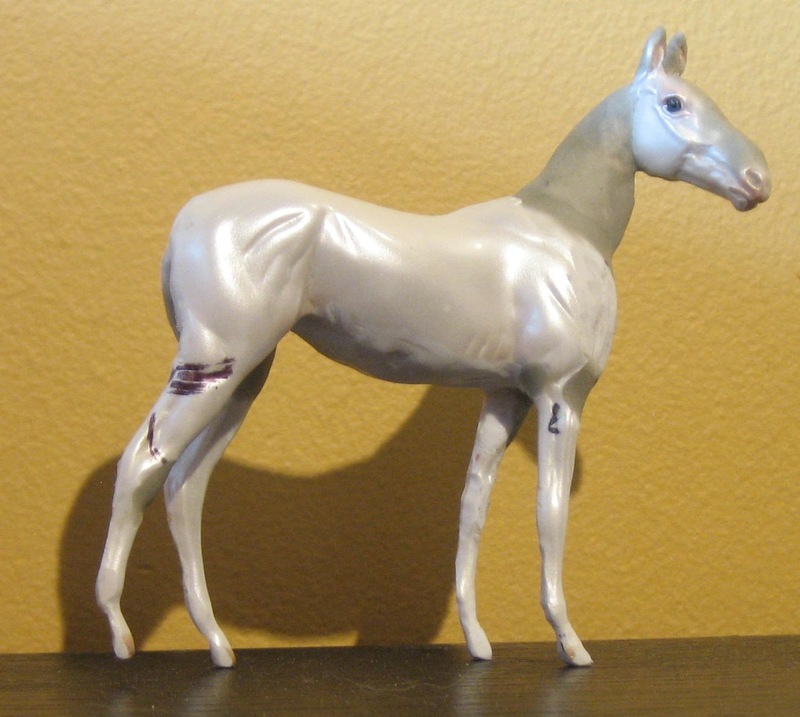 The Akhal Teke lost his head and hooves but has since gained epoxy, and is at least giving me the attitude I want. Baking soda and glue to the rescue! Hmm… that face needs serious work. 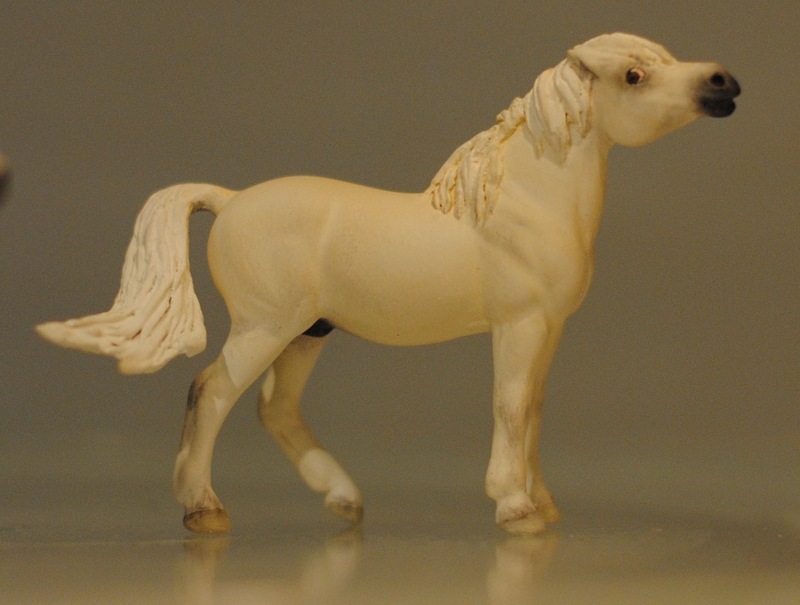 It’s fun and interesting to be sculpting a horse with such specific and unusual breed characteristics. 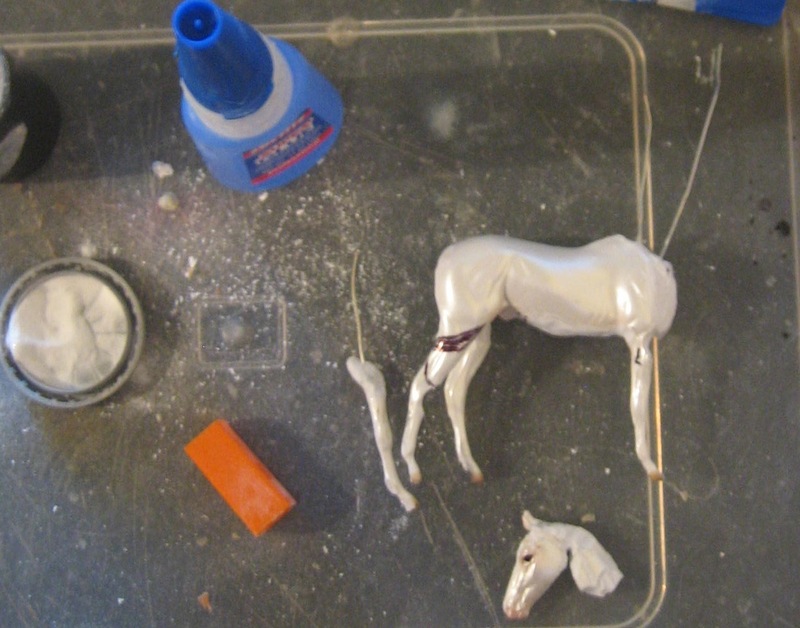 With the Akhal in my Sculpting WIP Batch are my Thoroughbred racehorse with her new opened mouth and the one time “Head Down Mare” who is now destined to be a gelding and has put on some serious weight. 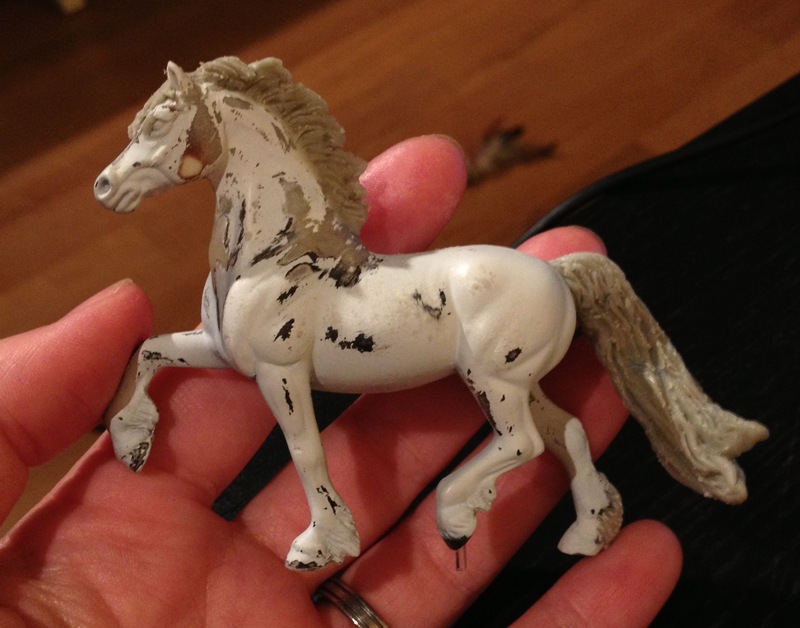 I’m thinking Percheron/Quarter Horse. 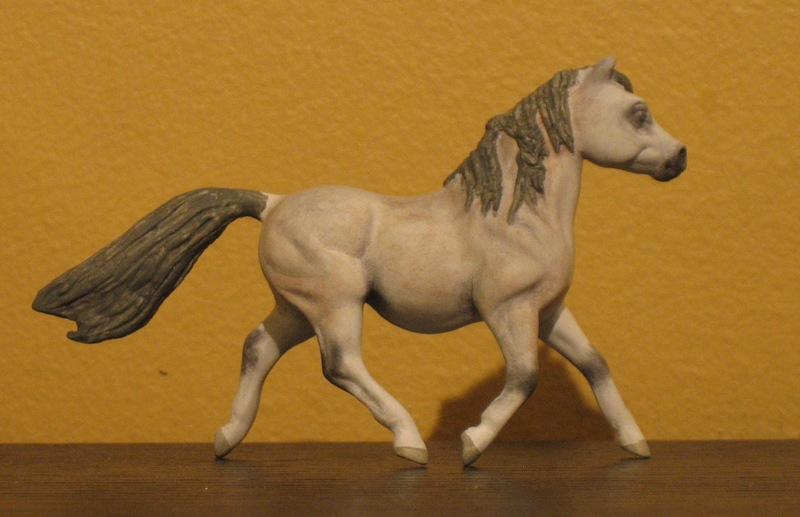 All three of these are quite challenging- I’ve got the unique Akhal type, a tiny open mouth, and some big muscle groups to sculpt. And I’m having a ball. In the Pastelling Batch it’s a big ol’ Pony Party. 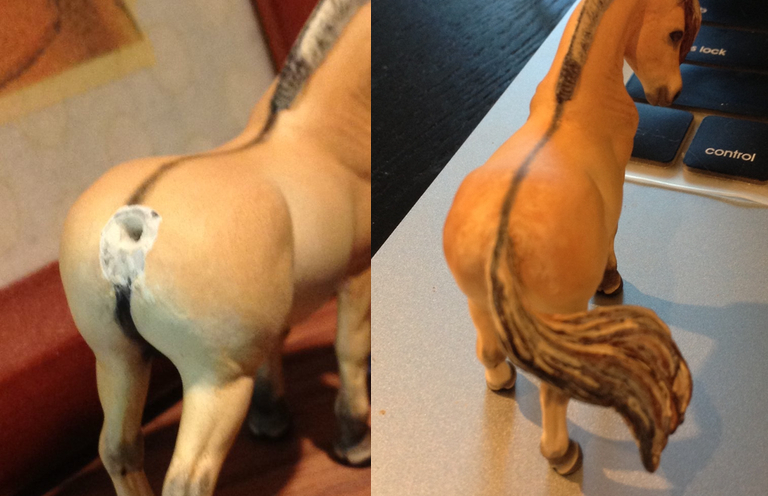 The chestnut pony is almost done, which is satisfying. I think she’ll go up for sale when finished. Typhoid Mary is just beginning to get layers of dapples and individual hair detail, so she’ll be on the table for a while. Alpo mostly has his body done, but matching his mane and tail and making them match his body and be realistic will be a definite challenge. I’m looking forward to having him done- such attitude. Don’t mess with the poneh. 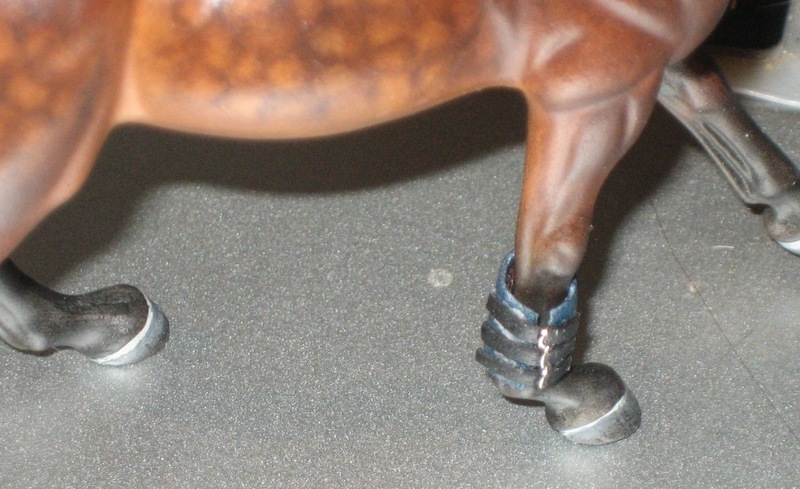 I also finally photographed my sales horse “Jaycee” so she’s up on my sales page and on MH$P. I love seeing start to finish photos of other people’s customs. It’s such a great way to learn from and admire another hobbyist’s work. I follow Strutt’n Steed Studios’ blog, and artist Rikki Lyman recently posted two awesome start to finish albums. Check out the adorable pony Bailey (custom TR Eberl Haflinger) and playful donkey foal Emelia (custom CL Cantering Foal).